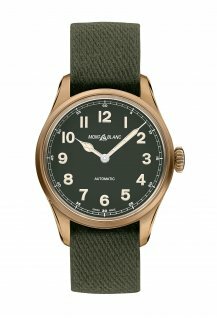 Reconnecting through nature with new Montblanc 1858 timepieces in khaki green. 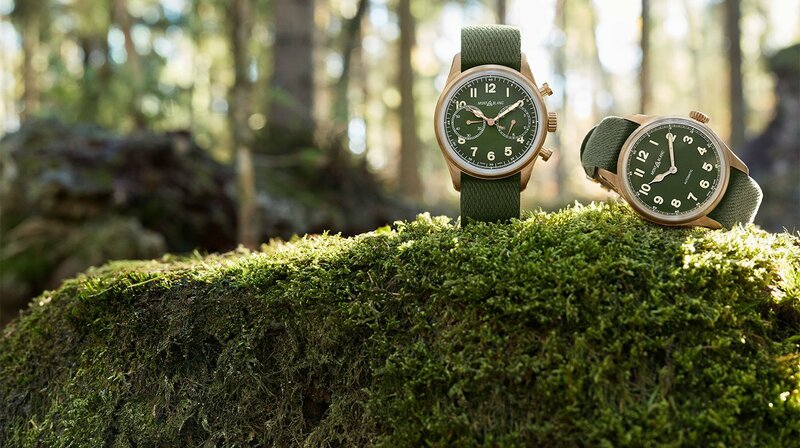 Inspired by the spirit of mountain exploration, the 1858 product line gets closer to nature with bronze cases, brand-new khaki-green dials and matching coloured “nato” straps. Precise, legible and robust for use in extreme conditions, the professional Minerva watches from the 1920s and 1930s were conceived for military use and exploration. 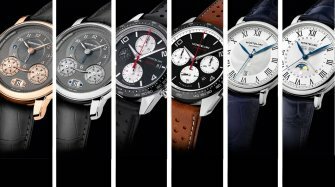 Inspired by these timepieces, the Montblanc 1858 pays tribute to the Minerva Manufacture’s heritage. Pairing green and bronze, three new editions capture the spirit of the great outdoors. Hiking through forests, across fields or up to the highest peaks, the Montblanc 1858 Automatic, Montblanc 1858 Automatic Chronograph and Montblanc 1858 Geosphere are trusted companions for adventurers and explorers. The Montblanc 1858 finds its inspiration in the world of mountain exploration, with the introduction of a new khaki-green colour that enhances the connection to nature. 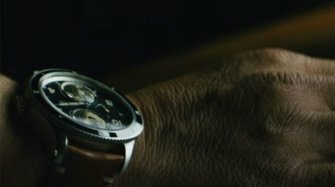 A reinterpretation of the Minerva pocket watches and chronographs from the 1920s and 1930s, the new Montblanc 1858 timepieces capture the spirit of the past in a modern way combining a vintage- looking bronze case enriched with aluminium that evolves over time and innovative, functional in-house complications. 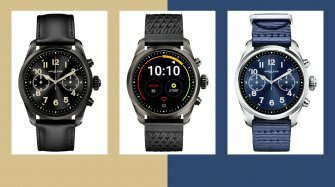 Trusted companions for outdoor adventures, these timepieces are designed for modern-day explorers who set their own challenges and find harmony with nature to reach new heights in life. The polished and satin-finished bronze cases feature slim bevelled horns while the case back is crafted from titanium featuring a bronze colour coating. 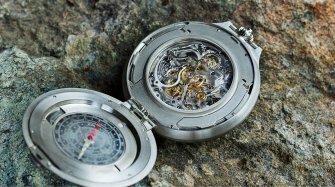 The case back is also engraved with the emblematic Mont Blanc mountain, a compass and two crossed ice pick-axes, as a nod to the spirit of mountain exploration. Other details include fluted crowns that recall those on period timepieces and robust, domed, sapphire crystal glass boxes that highlight the vintage look of each watch. The khaki-green dials contrast with historical luminescent cathedral-shaped hands with a “cloisonné” design that have been slightly domed for one of the finest finishes. Other details include beige SuperLumiNova-coated Arabic numerals, a railway minutes track and the original Montblanc logo from the 1930s era with its historical font and emblem of the Mont Blanc Mountain. 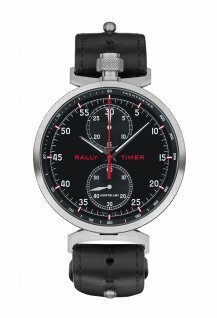 The watches are equipped with woven “NATO” straps. These straps are handcrafted in France at a traditional weaving manufacture that has been in production for over 150 years. Thanks to this artisanal know-how, the “NATO” straps are refined, robust, durable and comfortable on the wrist. 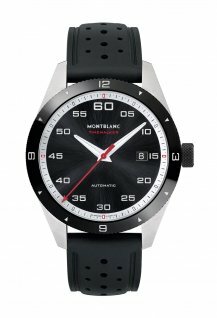 In order to guarantee the performance of the product line, all the Montblanc 1858 models undergo over 500 hours of simulated wear, with specific testing and controls under extreme conditions. The Automatic, Chronograph and Geosphere models are also water-resistant to 100 metres ensuring performance in all environments. This year marks the arrival of four new 1858 editions: Two new 1858 Automatic models, a 1858 Chronograph and a 1858 Geosphere. 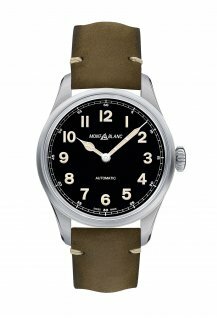 The two new 1858 Automatic models come in a choice of a full-bronze 40mm case (previous versions had a steel case and a bronze bezel) paired with a khaki-green dial, or a steel case with a black dial. 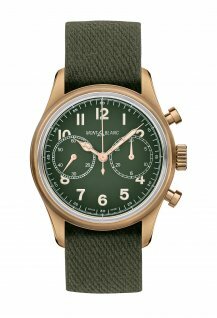 The new 1858 Chronograph comes in a 42mm full bronze case with khaki-green dial, providing an ideal backdrop for the bi-compax counters. 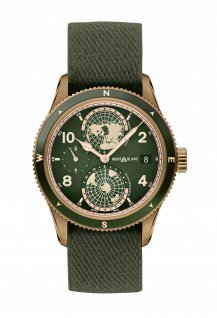 And last, but not least, the 1858 Geosphere, which is dedicated to the world’s Seven Summit mountaineering challenge, the holy grail of mountaineering adventures, is now also available in this new bronze/khaki colour scheme.